As a prize-winner at the Opera Competition and Festival with Mezzo Television, Hungary, he made his New York opera début as Judge Danforth THE CRUCIBLE with Dicapo Opera Theatre, a performance he repeated at the National Theatre, Szeged. Having made his English National Opera début in the role of First Armed Man THE MAGIC FLUTE, Michael Bracegirdle has since returned as Tamino THE MAGIC FLUTE and has appeared as Fourth Esquire PARSIFAL whilst also covering the title-role. With Opéra de Limoges he appeared as the Prince L’AMOUR DES TROIS ORANGES and has appeared as Laca JENŮFA with Opéra de Rennes, Limoges and Reims. Other credits include Father Grenville DEAD MAN WALKING with the Royal Danish Opera. 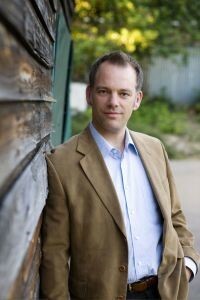 Michael Bracegirdle’s repertoire also includes Erik DER FLIEGENDE HOLLANDER, Loge DAS RHEINGOLD, Steva and Laca JENUFA, Jenik THE BARTERED BRIDE, Lensky EUGENE ONEGIN, Pinkerton MADAMA BUTTERFLY, Boris and Kudryash KATYA KABANOVA, Cavaradossi TOSCA, Don José CARMEN, Rodolfo LA BOHEME, Ruggero LA RONDINE and Lysander A MIDSUMMER NIGHT’S DREAM. In concert with the Chelsea Opera Group he sang Jason MEDEE and Malcolm MACBETH. He has also worked with The Royal Opera House (Linbury Theatre), Clonter Opera, Opera Holland Park, Scottish Opera on Tour, Mid Wales Opera, English Touring Opera and Longborough Festival Opera. Michael Bracegirdle has a busy concert diary and his engagements have included Puccini Messa Di Gloria and Rossini Stabat Mater with the Huddersfield Choral Society, Beethoven Missa Solemnis at The Barbican, as well as appearances with the Royal Liverpool Philharmonic Orchestra, the Royal Philharmonic Orchestra and the RTÉ National Symphony Orchestra. He has broadcast with the BBC on Radio 3 and Radio 4. Recent and forthcoming engagements include Spectacular Classics at The Bridgewater Hall, title role LES CONTES D’HOFFMANN with Diva Opera, Tippett A CHILD OF OUR TIME at The Royal Festival Hall, Eisenstein DIE FLEDERMAUS at the Salisbury Festival, Don José CARMEN with OperaUpClose, Valzacchi DER ROSENKAVALIER and Der Bucklige DIE FRAU OHNE SCHATTEN with The Edinburgh Opera Players and Sellem THE RAKE’S PROGRESS at Saffron Hall. Winner of the Emmy Destinn Award for Young Singers and a graduate of Durham University, Michael Bracegirdle first qualified as a Chartered Accountant and went on to work as a Finance Director in industry. In 2003 he gave up his business career to further his vocal studies at the Royal Northern College of Music.